Myself (Ed Hubel) and others on the AR forums have done alot of bigbore wildcattting. 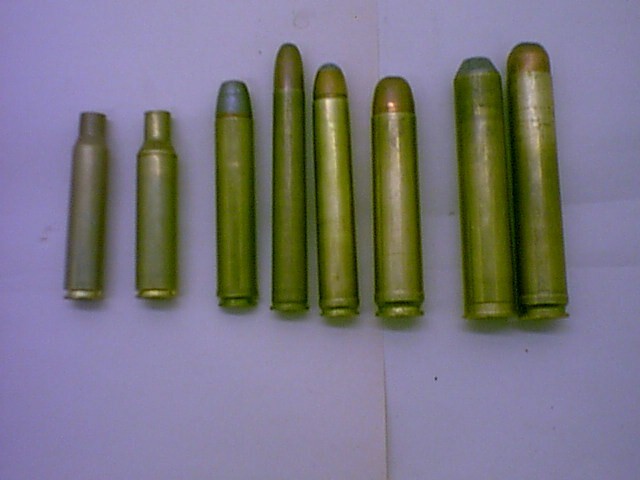 the old African Paradox guns, only a ten times better brass case. Rob from the forum came up with the name and original concept. 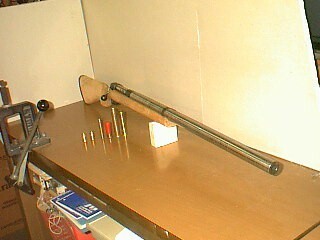 a Borchardt 50 BMG action, with heavy rifled barrel. 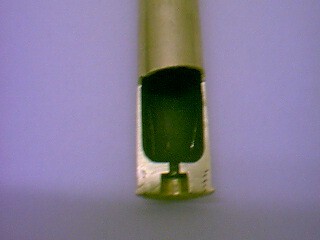 I also have developed my 700HE belted straight case from BMG brass. See the last photo on the far right or bottom.Ed. Just out of curiosity, what are all of the various cartridges in the bottom pictre? That is a monster! Did you chrono it? What weight slug were you using? What is this?!? 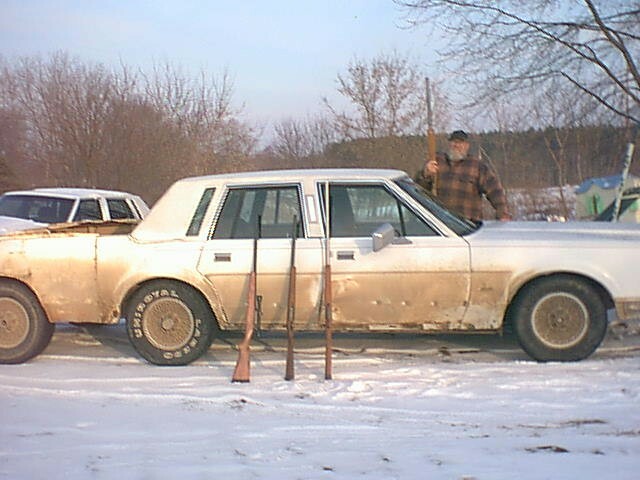 A home made hunting limo? Mr. Hubel you are a very strange man. 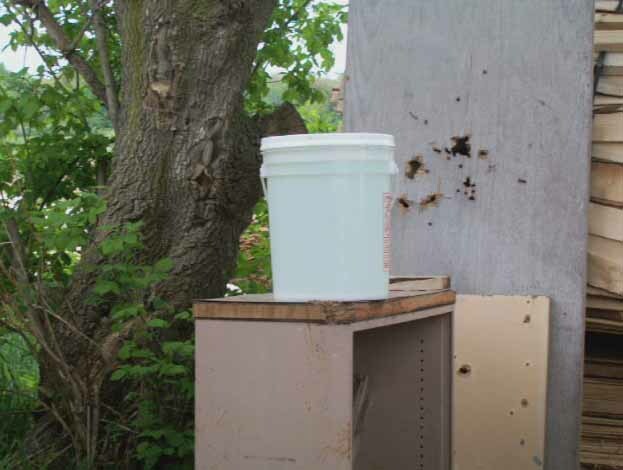 500gr @ 3700fps = 15,200 ft lbs. That is truely impressive. The 730gr load works out to 13,600 ft lbs. That out classes the 50BMG in terms of energy and diameter, though probably not in effective range.... I'm sure that would explode just about any North American game, save maybe a huge grizzly or a polar bear. I saw you are cooking up a 900HE out of 20mm Vulcan brass? I guess you are giving people like JD Jones a run for their money eh? Here's something I grabbed from another forum. amount of help and support across the net. figuring out where supplies and parts are. That's awesome. So you can get around the "destructive device" definition because it's a 12 gauge shot gun right? How about the 900? Is that a 4 gauge "shotgun"? Are you going commercial with it - custom rifles, and brass and such? Ah. The picture is now becoming clear. You are trying to bring the power of the most powerful big bore wildcats, down to a level where an average guy can afford to build it with a little help from you guys? I'm sure the brass will be expensive, but it should last a really long time. 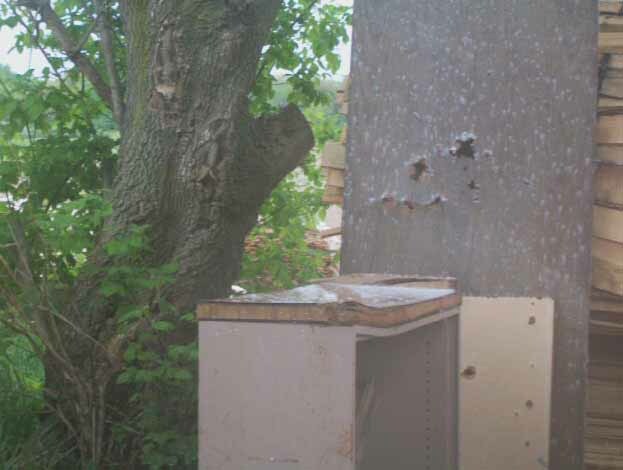 Will need a new 50BMG press to load. Which AR forums are you on? Could give us link? You think a guy could into the game with $1000 or less, for the rifle? I know you built yours for less, but I'm talking about folks that don't know how to do the work themselves. up around 1000 bucks.If you did own work. get your feet wet in the recoil business.Ed. Cool. Thanks for the info. I'll check it out. After digging around some, all I can say is WOW. You guys are really on the ragged bleeding edge of the obscure monster wildcats. It's almost like John Linebaugh or Frank Barnes dropping in to chat with us or something. Very cool. I'm a fan of stuff like this. Mostly familiar with the handgun variety of cannons, mainly because really really big rifles are *INSANELY EXPENSIVE*. Even for the 50BMG, it's usually several grand to start, and that's a cheap rifle. I never gave any thought to anything beyond that, let alone a custom rifle chambered in an uber obscure wildcat that can deliver 50BMG X2 levels of power. It boggles the mind. What do you have to do to the NEF ultra to play in the 4000 ft lbs neighborhood? Do you need a shotshell press? It there anyway to do it with a big 70's rockchucker? Dies? Components? You say you need a roll crimper for a drill press? I'd like to know everything about it. If you can send me the information, or point me to where it is I would really appreciate it. Feel free to PM. I signed up on the AR forum, but they haven't appoved me yet. If it's there I'll probably find it. You guys appear to be going for the record for the most powerful non-military rifles and cartridges ever made. (If you haven't acheived that already with 23,000 ft lbs in the Borschardt actions.) I am not aware of anything even close to that powerful. Do you know what the energy numbers on the 950 JDJ were? them from, and 06 case for comparison.Ed. You Sir, are in an entirely different catagory of gun nut, the likes of which I have never seen or met before. You're knowledge of load development and wildcating is awesome. I am astonished and amazed at what you are doing. I find it incredibly intertaining, and totally insane. I wish I had the knowledge and experience to even sit around and daydream about taking on a project like that. What an excellent way to retire. Please don't blow yourself up Mr. Hubel. I want to hear more about this. In particular when you get the big falling block built and ready to test. You got any more 700HE cases with a slug in it? I'd love to buy one from you. I will probably pick up one of those NEF ultras too - just for "kicks." macshooter- I think RCBS has 12ga dies for big presses. Insane....but, man, I love this stuff. Like mac, I would love to have one of those 700HE cases with a slug in it to show a gunsmith buddy of mine. super heavy thumbhole stock, I have chambered for 12GA FH. My hunting group picks at me for hunting feral hogs with a .444 Marlin. Heck, there wouldn't be anything left but a ham if I was lucky. Bob- Email didn't get through. Maybe send a PM. case slug loads can get best of everything. Ed, I have sent a PM to you. project like some of yours as passionately as you have. Keep up the good work and keep us informed on your progress. Oh, and, mac, thanks for the link. I was a forum member at THR and never even saw that post. NP Hickbob, I had to find out more about this so I want digging around. Actually, after thinking on it for a while, I think I have changed my mind about it. This stuff isn't interesting anymore because it's just not practical, and don't want to look like I have magnum syndrome or anything like that. 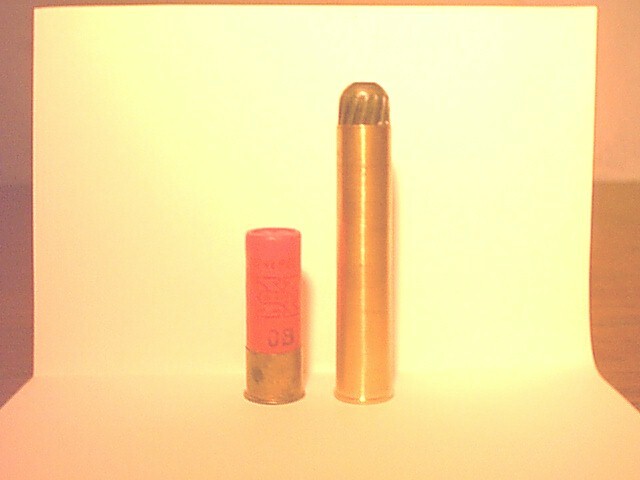 Really large powerful calibers like this are just not necessary. So I think I'm going to sell my 500 mag, my .44, and 10mm. 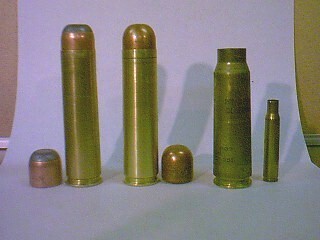 From now on it's going to 9mm or .40 for me, and nothing larger than .308 in a rifle caliber. It's just time for me to grow up and be more mature and practicool practical. This kind of stuff is awesome. I love it. I don't do any hunting, but I can see where a slug that doesn't drop at all for 150 yrds could be useful for those limited to shot guns. It wouldn't be affected much by wind. It's a killer brush buster. I don't think it would be much good for hiking around though (the NEF would be ok for that), and follow up shots might be tough, but I don't think you would need more than one shot if you hit what you are aiming at! Anything you hit will probably drop right where it stands, so you wouldn't have to chase it down. Shot placement would be less of an issue. Humane kills are almost always assured. It would take a lot of practice to master a gun like that, to where you could use it to hunt. That would be a plus for some folks, and a minus for others. It would be plus for me. Anyway. Kudos to you Mr. Hubel! Keep up the good work. I look forward to reading about it.